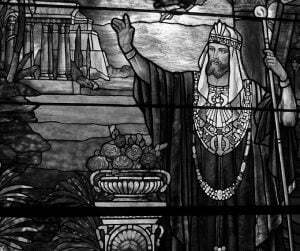 King Solomon was renowned for his wisdom. He was a man of great intelligence. His name and fame spread all over the world. The Queen of Sheba also heard about him. So, she wanted to test his wisdom. The queen went to Solomon’s court. She took with her two garlands one of the real roses and the other artificial roses. But both of the garlands looked quite alike. The queen placed them on the table and said, “Oh wise king, please look at the garlands. Tell me, which one is of real roses.”?